Fabulous gadget! 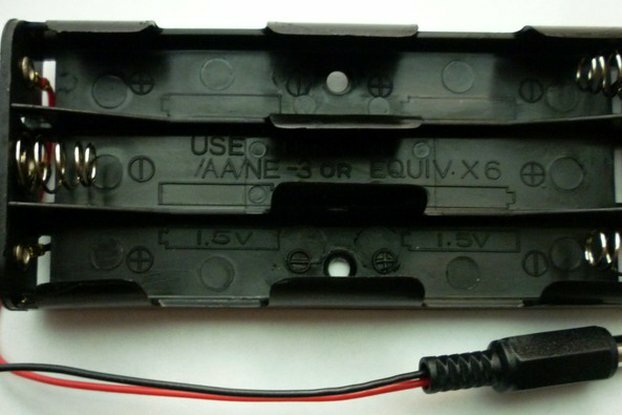 I bought several to use in 1/24 scale Aoshima Knight Rider models, The Larson scanner is the same as the Aoshima ones that you can no longer get. They are easy to assemble with clear instructions. 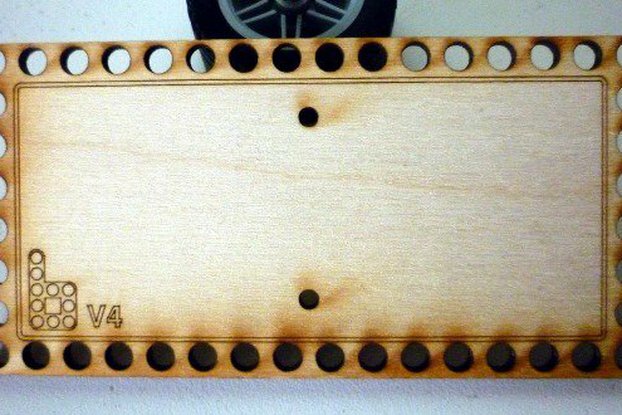 Really well made, fun to build, really cool! Thanks guys for designing & making them. 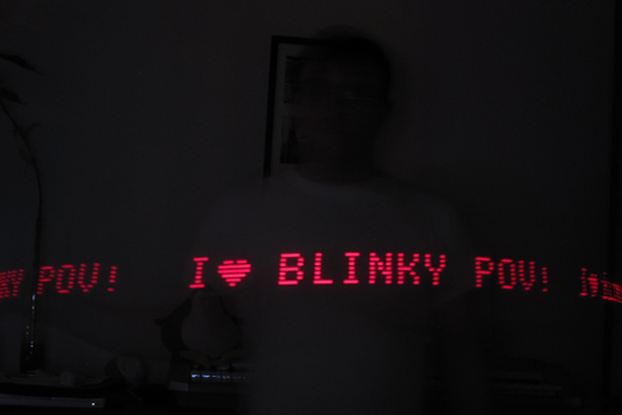 The POV is good fun too, not programmed anything yet through the programming page, but will give it a try. Anybody ordering in the UK, be aware that if you order more than 1 at a time, You get hit for Customs VAT that I was unaware, but that's the fun of living here! Keep making ingenious gadgets guys, we love them! 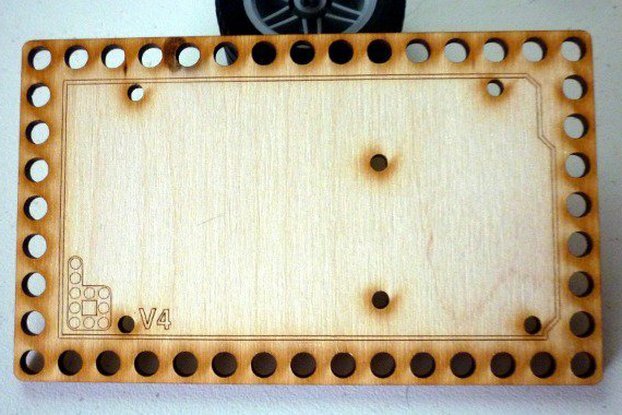 I'm using this shield in the scope of my workshop "Arduino for newbies / learn to solder"
It's easy to build and works very well. 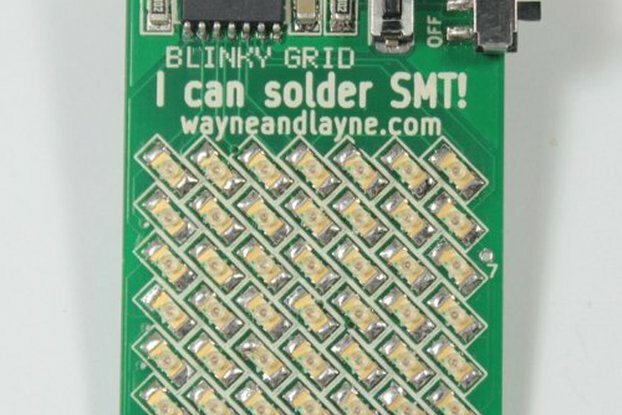 Good for practicing SMD soldering love the extra LED they are very small and they can go flying! 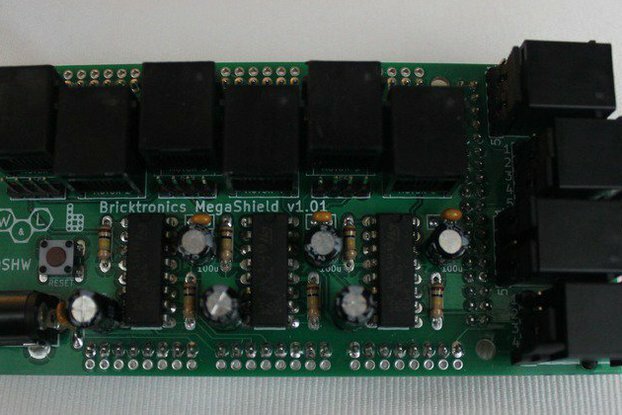 Would be nice to make a stand alone programmer for this wonderful device or either get the programming sequence. Hi Patrick, thanks for the review! 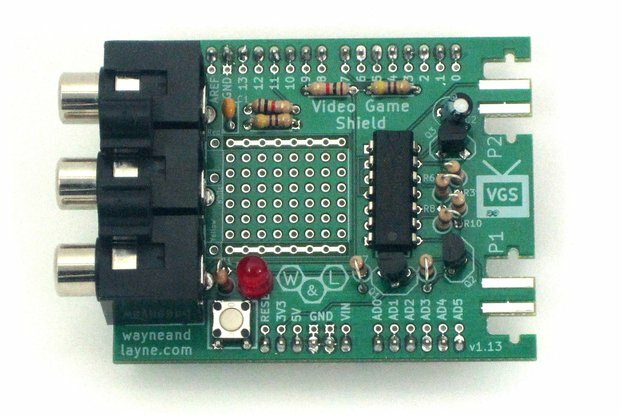 Everything is open source (https://github.com/wayneandlayne/blinky) including the circuit board designs, the code that goes inside the chip, and the code that runs the website reprogrammer. 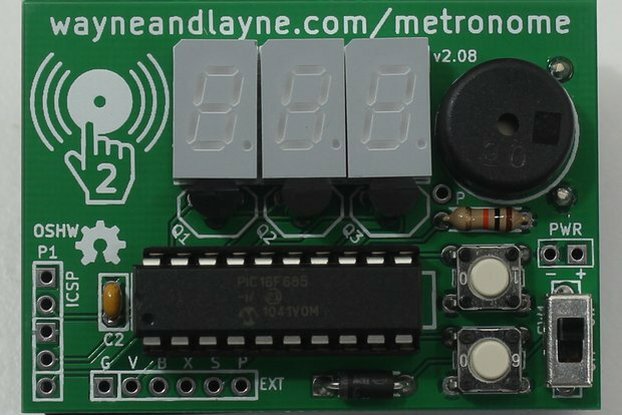 We also have some nice documentation about the design and operation of the kit (http://www.wayneandlayne.com/projects/blinky/design/) which contains all the details of the reprogramming. 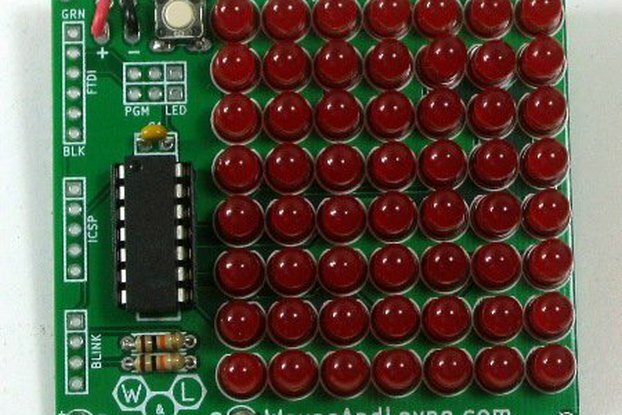 For a standalone programmer, you can use a smartphone or tablet. 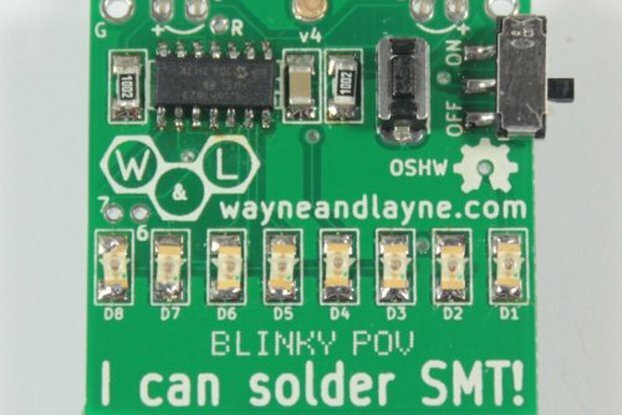 If you have a hardware programmer for PIC microcontrollers (such as the popular and cheap PICKIT2 and PICKIT3) you can reload the code directly that way (available here: http://www.wayneandlayne.com/projects/blinky/design/ scroll down to "Firmware"). Let us know if you have any questions! 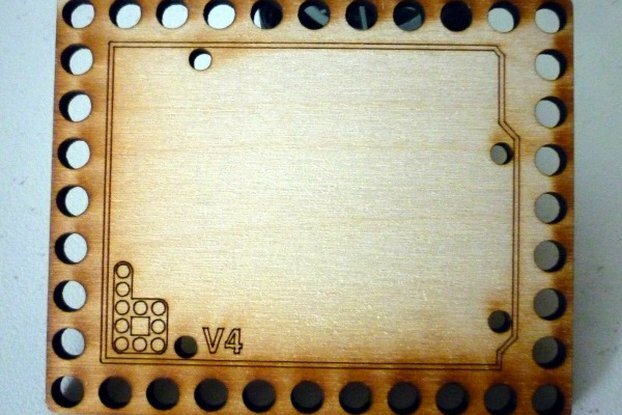 Brilliant first step into SMD soldering! 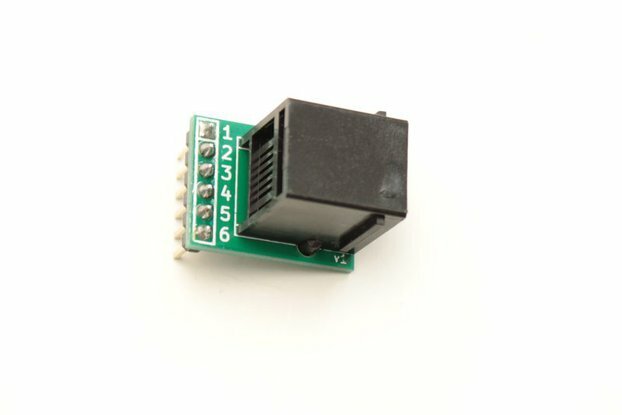 I have been looking for a first SMD kit I felt confident to test the waters with. The clear and simply design, step-by-step instructions and novelty of this product was what sold it to me. Upon arrival I went straight to it, I really liked the kit and learned all I needed, there was an issue with a missing part but they sent out some more that arrived very quickly. Support was amazing! I think it would be nice if it included some fine pitch solder and desoldering braid as not everyone will have this, however otherwise all you need are some fine tweezers and an iron.